From the get-go, The Practice of Living Awareness artfully combines the practices of shamatha and vipashyana. That is not announced so that each step can bring some of the richness and fullness of meditation technique and applications of practice to anyone who tries out or uses The Practice. Nonetheless, from “Smile” through “Soften and Open” through “Asana,” “Mind and its qualities,” onto “Luminous Perception,” the steps demonstrate and illustrate attributes of both pillars of meditation practice and experience. 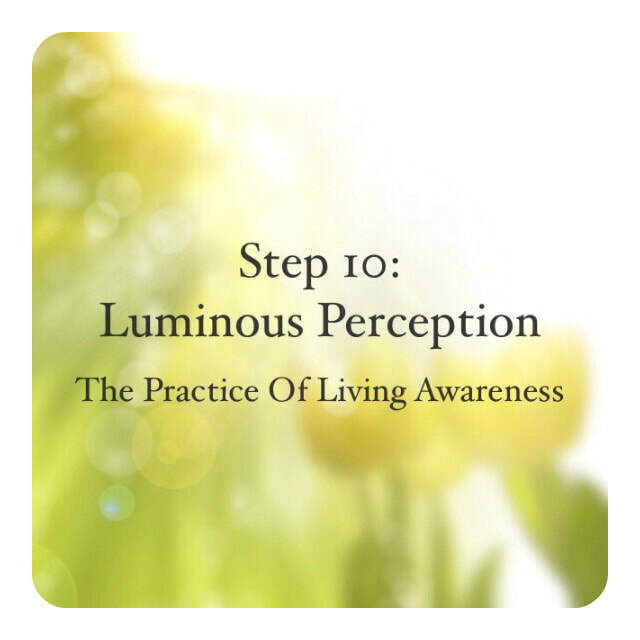 Luminous perception, ostensibly, is about clear, truthful, and clarifying perception. Through holding one’s self in clarity, one’s perceptions become more truthful. To clarify one’s perceptions of anything (things, emotions, concepts, one’s self), an openness to truth, openness to clarity and simplicity are necessary. Vipashyana is going to dismantle the stories we tell ourself. Vipashyana will point out the projections that so easily arise in our mind and are taken as a given, as factual in some way. Vipashyana will wipe clean our sense of self, if we allow that. There is great relief in that experience. But, vipashyana requires the dignity and integrity of shamatha as its foundation so that the deconstruction of the edifices and fabrications that we have conjured and do throughout a day can happen. These two practices actually are inseparable. Stone blessed oasis. In fiery furnace of chaos back in hospital and chaos with Steven and daughter at home. Little sleep. Grateful for stone. Sorry to hear that the soup thickened rather than emptied, Sandra. Prayers and light to you and your family. Glad the meditation was supportive for you.